Mary Dorgan, Guidance Counsellor at The Institute of Education, offers some advice to Leaving Cert students who didn’t get offered the course they wanted in the first round of CAO offers 2018. The Institute of Education offers an intensive one year programme to repeat Leaving Certificate students. If a student is prepared to work hard, we can help them achieve dramatic improvements to their results. Experienced Teachers: Our teachers have been working with repeat candidates for years and understand your specific needs. Intensive Syllabus: We cover the entire syllabus in our 6th year programme, with specific ‘paces’ for various subjects. Wide Subject Choice: With 27 subjects available to choose from, repeat students can change or take up a new subject as desired. Supervised Study: Our study hall is open 7 days a week, allowing our repeat students to study in a completely distraction-free environment, in an atmosphere that is calm and focused on learning. Career Guidance: We provide expert career guidance to repeat candidates, with advice on subject choice, entry requirements for third-level courses and career progression. 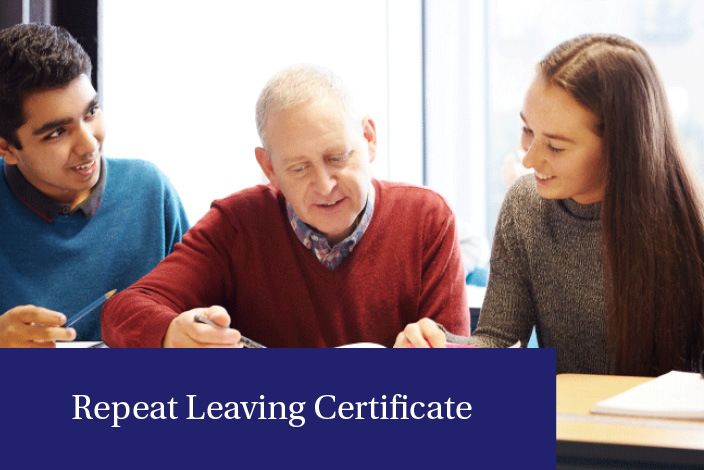 Our dedicated student support services will provide you with the tools and skills to ensure that you get the most from your time repeating the Leaving Certificate here at The Institute of Education.